If you attended an NFL, MLB, NBA, NHL, or MLS game in Texas over the past couple of years, you may have seen the home team conduct a raffle as a fundraiser for their own charity or foundation. By state law, these teams are allowed to host raffles at each of their regular season games in their home stadiums and even offer cash prizes to the winners. So you may think that’s a great idea for your little league team, band booster club, or any other program you work with. STOP RIGHT THERE!!! That’s right. Just forget about it. State law allows them to do it—NOT you. These professional sports teams conduct raffles under a state law that came to be in 2015. All other charitable organizations interested in raising funds by hosting a raffle must operate their raffle under a previously existing law that has been around since 1999. And, of course, if your organization doesn’t qualify, or if you are a for-profit or individual, you can’t conduct a raffle at all. The Charitable Raffle Enabling Act of 199 outlines how to conduct a raffle legally. 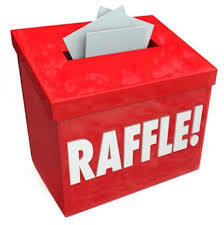 It includes who can hold raffles, how many, how to market them, what to print on the raffle ticket, and much more. Raffles are a great, quick, and simple way to raise funds for your program. However, by definition, raffles are gambling and gambling is regulated by state law. Before you use a raffle for your fundraising efforts, you want to educate yourself as to the correct way to conduct your raffle. This blog is for informational purposes only and is not to be construed as legal advice. Learn about the Nonprofit Management Academy–education and compliance for Texas nonprofit, tax-exempt, and 501(c)(3) organizations.